This informational bulletin provides technicians with ways to decrease the tire slipping on the rim and reduce to possible chances of the customers concerns over tire vibration are repair. This informational bulletin provides information on the top tier fuels that are recommended in gm vehicles. This informational bulletin provides technicians with diagnostic tips for preventing oil leaks after changing oil and filter. This informational bulletin provides technicians with a brake lathe calibration procedure. This technical bulletin provides a revision for 12-02-32-002 to add the 2013-2014 model years, add noise as a possible condition and add a note in the instructions section. This informational bulletin provides information on how to save fuel and proper maintenance without using fuel or oil additives. This informational bulletin provides information on intake manifold inspection/replacement after severe internal engine damage. This informational bulletin was created to aid the technician in diagnosing the difference between a shock or strut that has a fluid residule from a possible external source from a leaking shaft seal. This informational bulletin provides guidelines and diagnostic/repair information to technicians regarding vehicle engine oil consumption. This informational bulletin provides do's and don'ts for maximizing gasoline engine fuel economy, other various tips and a list of websites for additional information. This preliminary information communication provides information to the technician about vehicles that have low oil pressure, no oil pressure, and/or engine noise. technician will need to replace the oil pump, flush the oil cooler lines. This informational bulletin provides information to dealership personnel on diagnosis and replacement of shock absorber and strut due to fluid leak. This informational bulletin provides information on the proper oils to use on gm vehicles including information regarding the differences of the dexos oils. This informational bulletin provides information to technicians regarding intake manifold inspection/replacement after severe internal engine damage. This informational bulletin provides dealership personnel with information on flexible fuel vehicles (ffvs) and the usage of e85 fuel in gm vehicles. This technical bulletin adds the 2016 model year to repair information for lubricating the rear leaf springs to correct a customer concern for a squeak noise from rear of vehicle. This informational bulletin provides information on top tier fuels and what brands are available. This informational bulletin explains a normal condition for what and how the drive line can clunk. This warranty administration bulletin provide policy information on a revised customer concern not duplicated/verified labor operation numbers and how to submit ccnd. This engineering informational bulletin ends the need for information from the field on vehicles with the condition of a leaking radiator. This technical bulletin provides a procedure to lube the rear leaf springs on vehicles with the condition of a squeak noise originating from the rear of the vehicle. This informational bulletin provides additional information on how to install pistons and suggest what tools to use. This informational bulletins provides information on the intake manifold inspection/replacement after servere internal engine damage. This informational bulletin provides information on how to test a battery and what is needed to warranty a battery. This informational bulletin explains the use of diesel fuel additives in an engine, are not required unless the customer desires additives to prevent fuel concerns depending on fuel or temperature related conditions. This informational bulletin provides information to gm dealers on the correct cleaning methods when cleaning engine gasket sealing surfaces. General motors: low engine oil pressure, no oil pressure, and/or engine noise. this could be the result of a sticking oil pump pressure relief valve. Gm: the service engine soon light is on, there is also a misfire or engine noise. there are multiple possible causes. Gm: service stability or traction light is on with one internal trouble code. Gmc: fuel gauge fluctuation in park or neutral, causing the low fuel light to illuminate. Intermittent mil/ses, dtc p2138 with reduced engine power (repair instrument panel (ip) to body harness connector). 2005-2008 gm passenger cars and light duty trucks including saturn. *nj updated 11/19/10. updated 3/30/11. This informational bulletin provides information for service agents not required to contact product quality center for cng, lpg or gasoline engine, transmission and/or transfer case. This informational bulletin was created for the manual transmission operating characteristics. the different noises caused by driver habit, weather conditions , and normal manual transmission noises. This informational bulletin provides technicians with information regarding automatic transmission oil cooler flow test essential tool j-45096 transflow®. This informational bulletin provide information on the operating characteristics of a manual transmission. Gm: the service 4wd light is on and a trouble code is set. this is a software problem. Borg warner nr3, nr4 transfer case - parking lot shudder, binds on turns in 4 high open, crow hop (replace plastic mode fork). This informational bulletin provides information on a gm of canada onstar cellular communication upgrade. This warranty administration bulletin adds the 2016 model year to a communication which provides dealership personnel revised wiring repair labor operations and required additional information. This warranty administration bulletin provides policy information on the requirements for battery testing and warranty replacements. This informational bulletin explains condensation in exterior lights and replacment guidelines for warranty replacement. This informational bulletin provides information for customers to report missing or inaccurate navigation radio map disc information. This informational bulletin provides information on communication with onstar® module after canadian cellular upgrade. This informational bulletin adds the 2014 and 2015 model years to information of a language change for onstar system (u.s. and canada only). This preliminary informational bulletin provides technicians with diagnostic tips for a customer concern of odor emanating from hvac system. This technical bulletin provides a procedure on aftermarket alsl or dlc devices causing multiple issues due to suspected tampering. This preliminary information bulletin provides information on powertrain and various electronic/electrical control issues. This technical bulletin provides information on vehicle software enhancements for 2014 and prior gm passenger cars and light duty trucks. This technical service bulletin provides a revision for 07-08-49-020g to add the 2014 model year and update model list. This informational bulletin provides information on suspected tampering on vehicles modifications for identifying non gm ecm calibrations. This technical bulletin provides a procedure on suspected tampering due to aftermarket aldl or dlc interface devices causing multiple issues. This preliminary bulletin explains physical damage to radios and ipcs must be reviewed and validated if covered under gm warranty or not. This informational bulletin provides information for warranty codes that are generated by el-50313 midtronics gr8 battery tester/charger. This preliminary bulletin provides procedures on how to reset or refresh the xm radio receiver is the customers states that they only get a few channels. This preliminary bulletin explains to the technician to use the vin when reprogramming the radio using the techline/service programming systems. This preliminary informational bulletin adds the 2014 - 2016 model years to cleaning information to correct a customer concern of seeing a white film/residue on the ip pad and/or door trim panels. This informational bulletin provide information for the technicians to repair the rear window defroster contact or tabs. This warranty informational bulletin advised the technician that when performing a wiring repair, more information is required. This informational bulletin provides information regarding the aftermarket device interference with onstar diagnostic service. This informational bulletin explains the programming method quick reference guide for the ipc odometer. This informational bulletin explains that the gen 8 module wont be able to upgrade to an older vehicle and engineering is working on a solution. This informational bulletin provides information on return or reimbursement of customer owned cds, dvds or navigation discs . This preliminary bulletin provides information on service programming system (sps) errors (e4398, e4399, e4403, e4404, e4413, e4414, e4423 or e4491). This informational bulletin provides explanation on how to take snapshot data with a tech 2 and upload it to a computer and where to email the info to. This preliminary information bulletin provides a descritption of operation of the echo control and noise cancellation settings for concernc regarding noice drop outs during calls and muffled sound. The intent of this technical bulletin is to identify aftermarket aldl or dlc interface devices as potential sources for causing multiple customer concerns that do not have other diagnostic methods to identify them. This informational bulletin provides information on the product quality center (pqc) assembly replacement process for service agents not required to contact pqc prior to assembly replacement. This informational bulletin provides information on a gm of canada onstar® cellular communication upgrade. This information bulletin explains the use of drilling high strength steel in a collision repair and the gm recommended cryocobalt drill bit. This preliminary informational bulletin provides a diagnostic tip for low line pressure or pressure regulator valve stuck after transmission service pump cover replacement. This preliminary informational bulletin adds the 2015 model year to repair information on correcting a customer concern of poor, limited, reduced remote keyless entry (rke) or remote vehicle start (rvs) range. This informational bulletin communicates gm's position on exterior lighting components ?tinted or smoked? by an outside vendor. This informational bulletin communicates information to technicians on control module diagnostic trouble code(s) (dtc)(s) p0601, p0602, p0603, p0604, p0606, p062f, p06f3, p1621 which can be shared in multiple modules. This informational bulletin provodes information on the gm of canada onstar cellular communication upgrade. This preliminary information communication advises the technician on the steps for diagnosing the concern. the vehicle may be unable to connect to onstar using the white, blue or red onstar buttons. This preliminary information communication advises the technician, if unable to place an onstar call in the ignition on mode after the onstar canada upgrade to contact the gm technical assistance center onstar group for further assistance. This preliminary information communication advises the technician if unable to place an onstar call in the ignition on mode after the onstar canada upgrade, to contact the gm technical assistance center onstar group for further assistance. This preliminary information communication advises the technician to diagnose the concern and the steps to repair the concern. the vehicle's xm travel link may be inopertive. This preliminary information communication advises the technician on the steps to diagnose and repair the concern. the vehicle's xm radio only has xm preveiw channels. This informational bulletin provides information that may be useful on diagnosing batteries that have set for a long period of time and/or set in cold weather climates and testing those batteries. Gm: onstar is making incomplete calls without the driver knowing. when have a data connection. Gmc: intermittent ses light due to dtcs p013b and/or p0411 dtc. This informational bulletin helps the technician quick reference repairs to bulletins as opposed to replacing parts that may be un necessary. This warranty administration bulletin provide policy information on the change in product field action customer reimbursement procedure. This warranty administration bulletin provides information on the tires supplied with a new vehicle are covered by general motors against defects in material or workmanship under the bumper-to-bumper new vehicle limited warranty. This information bulletin provides the technician the information on how to properly clean a metal surface using the correct tool. This information for warranty administration - changes the service policy and procedures section 1.6.2.11 and list the requirements for the dealer to comply. This informational bulletin provides additional information to the technician on how to check for tire radial force variations and the difference between balancing a flange and flangeless rim. This informational bulletin provides information for technicians on the reuse of fasteners and the proper reading of torque specifications. This informational bulletin is to assist with the identification of issues that are not considered warrantable. This information bulletin provides the technician with additional information on fixing the vehicle right the first time by listing possible concerns to specific vehicles. This informational bulletin provides dealership personnel information on unscheduled supplemental services (including flushing services and additives) and proper use of gm simplified maintenance schedules (canada only). This warranty administration bulletin provides retail and wholesale service personnel with the policies and the warranty claims submission procedures that support labor operation 0600014 ? suspected tampering or vehicle modifications. This technical bulletin provides a revision for 03-00-89-0061i to add the 2014 model year and transport mode heading. This technical bulletin provides a revision of 05-09-40-002f to add the 2013-2014 model years. This technical bulletin provides a revision for 04-00-89-015d to update content and incorporate the u.s. version of bulletin 12-00-89-003. This informational bulletin provides information on the proper cleaning products for gm hard or plastic surfaces, seats carpet, vinyl. This warranty administration bulletin provide policy information on clarification of use-dealer empowerment labor operations and customer enthusiasm. This informational bulletin provides information on the appearance of chromed aluminum wheels due to chemical staining, pitting corrosion and/or spotted. This informational bulletin provides information on fix it right for first time issues. This informational bulletin provides information pre-painting/cleaning process for tpo plastic fascias. This informational bulletin provides information on tire radial force variation. This informational bulletin provides information on the replacement process for the product quality center. This preliminary bulletin explains the marks in the glass are normal when wearing polarized sunglasses and do not replace any glass for this reason. This preliminary information bulletin provides a revision of 13-00-89-004d to include updated information. This technical bulletin provides warranty administration - new labor codes information. This technical bulletin provides a revision of 99-04-20-002g to add 2013-2014 model years. This preliminary information bulletin provides information on poor or no transmitter range when using the remote keyless entry (rke) and/or remote vehicle start (rvs). This informational bulletin provides information for the pqc assembly replacement process. This informational bulletin provides information on key codes security rules and information on gm key code look up application. This informational bulletin provides information on key code security and information on gm key code look up applications. This technical bulletin provides a revision of 10-00-89-017z to include updated information. This preliminary bulletin provides a procedure on how to reset the power folding mirriors after they been folded manually, to fix the customers concern of the mirriors shaking or fluttering at normal driving speeds. This preliminary information bulletin provides information on how to remove stainless steel wheel nut caps with the matching depth of socket used on the wheel nut. This information bulletin provides dealers with more information on how to better prep a vehicle for pre-delivery. This informational bulletin provides the dealer with information on what to do when requesting a new key code for the customer. This preliminary bulletin provides a information to the dealer for the requirements need for equipment. This warranty administration bulletin provides policy information on causal part requirements for transactions submitted to gm for payment. This informational bulletin provides information to dealership personnel about updated front fascia license plate bracket installation instructions. This informational bulletin provides information to dealership personnel on proper engine and automatic transmission/transaxle identification. This informational bulletin provides information to dealership personnel on the use of non-gm approved battery chargers and booster packs. This warranty administration bulletin provides retail, wholesale and fleet personnel with general motors recommendations for customer concerns related to wheel alignment. This warranty administration bulletin provides policy information on an updated warranty and policy exchange program for electronic products through gm authorized electronic service centers (escs) (u.s. and canada). This informational bulletin provides a step by step procedure on how to properly use the gm chemicals to eliminate unwanted odors in vehicles and which products to use for each application. This technical bulletin provides a procedure to apply grease to the leaf springs to correct a condition of a squeak noise from the metals making contact. This information provides the proper way to install the floor mats . This warranty nonadministrative bulletin provides information on the proper use of the labor op 0600014. This warranty administration bulletin provides information on goodwill tools, customer enthusiasm, and policy guidelines. This warranty administration bulletin provide policy information on warranty and policy exchange program for electronic products for u.s. and canada dealers only. This warranty admin bulletin provides retail and wholesale service personnel with the policies/procedures and the warranty transaction submission procedures that support the personal property damage process. This warranty administration bulletin provide policy information for courtesy transportation and roadside assistance programs. This informational bulletin provides information on comebacks prevention information and using customer concern verification sheets (ccvs). This informational bulletin provides information on new tools used for the hem flanges and how to repair and seal the flanges when the repairs are done. This informational bulletin provides a revision for 00-06-01-026d to add the 2014 model year. This informational bulletin provides a revision for 10-08-110-001 to add the 2012-2014 model years. This informational bulletin provides an update for 13-00-89-004c to include updated information. This informational bulletin provides a revision for 04-06-04-047 to add the 2014 model year. This informational bulletin provides a revision for 04-06-04-047k to add the 2014 model year. This preliminary bulletin provides a pre-inspection symptom list before preforming any repairs to any of windows for noises or performance. This informational bulletin provides information on dealer responsibility for cargo carrying capacity labeling and the part numbers for the labels. This informational bulletin provides information on newly release bulletins used to fi the vehicles in the field the first time. This warranty administrational bulletin provides information on courtesy transportation and roadside assistance programs offered through gm. This preliminary informational bulletin provides a procedure for relearning the power folding mirriors and road testin to verify they correct a condtion of the power folding mirriors glass shakes, flutters at normal driving conditions. This informational bulletin provides information for the (gwm) and (wpc) on parts return program. This informational bulletin provides information for dealers/technicians on when and how to submit a field product report. This informational bulletin provides information for dealers how to submit a product information report. This warranty administration bulletin provide policy information for gm dealer empowerment program and goodwill procedures. This warranty informational bulletin provides a list of all the required operating procedures and explains them out to what is acceptable and not. This informational bulletin provides information on chemical staining, pitting, and corrosion on wheels and the proper cleaners to use to fix the conditions due to multiple causes. This warranty administration bulletin provide policy information new tire warranty program and global warranty management submission information. This informational bulletin provides information on availability for the seat belt extender. This warranty administration bulletin provides retail and wholesale service personnel with the policies and the warranty claims submission procedures that support labor operation 0600014 - suspected tampering or vehicle modifications. This warranty administration bulletin communicates gm required operating procedures (u.s. only) for service operations. This informational bulletin provides a list off all the issues revolving around new vehicles for a one stop place to find growing concerns around them. This informational bulletin provides dealership personnel with global warranty management (gwm), warranty parts center (wpc), and parts return program information. This informational bulletin provides technicians with information to help identify the differences between what is considered a fluid leak, and what is considered seepage. This informational bulletin provides information to assist dealership personnel with the identification of vehicle headlamp, tail lamp, license lamp or fog/driving lamp damage that are not considered warrantable. This informational bulletin provides information for dealers/technicians on when and how to submit a field product report (fpr) (u.s. dealers only). This preliminary informational bulletin provides repair information to correct a customer concern of iitermittently key will not rotate in door or ignition lock cylinder. This warranty administration bulletin provides policy information on courtesy transportation and roadside assistance programs. This informational bulletin provides information on proper use of floor mats. This informational bulletin provides information on the proper use of gm floor mats. This informational bulletin provides information on non-design intent wheel lock nuts and lug nuts. This warranty bulletin clarifies the use of dealer empowerment to satisfy the customer. This warranty bulletin provides labor operation numbers for customer concerns that can't be duplicated. This informational bulletin provides a quick guide to updating which model vehicle after replacing the ipc. This informational bulletin explains how to care for wiper blades. This informational bulletin communicates gm's position on use of nitrogen gas in tires. This warranty administration bulletin provides information to clarify proper transaction administration of gm dealer empowerment program and goodwill cases. This informational bulletin communicates comprehensive instructions to gm dealers and authorized gm accessory distributor/installers as to the proper methods for mounting, balancing, and installing accessory wheels and tires. This informational bulletin provides information on dealer reimbursement procedures for customer assistance center (cac) tier 1 and tier 2 empowerment tools: diagnostic fee, short term rental, and up-front towing (u.s. only). This warranty administration bulletin provide policy information on gm of canada new vehicle limited warranty tire program and global warranty management (gwm) submission information. This informational bulletin provides information on the proper use of floor mats. This informational provides information on slight or mild tire feathering and recommended practices. This informational bulletin provides guidance to gm dealers when using gm approved tire force variation measurement equipment. This preliminary information communication advises the technician the steps on diagnosing the concern. vehicle's sunroof operation intermittent, bind, noise, auto-reverse, and/or water leaks. This warranty administration bulletin provide policy on performing gm covered vehicle services and maintenance on vehicles originating/sold in canada. This informational bulletin provides information on a normal condition on tempered glass of spots showing on the rear and side windows when the vehicle is in the sunlight. This warranty administration bulletin provides information on gm¿s policy on performing gm covered vehicle services and maintenance on vehicles originating/sold in canada. General motors: the windows, front and rear, would bind, poor fit, misalignment, makes rattle or squeaking noises, moves slowly and is inoperative. 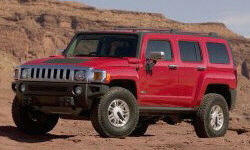 model 2008-2014 vehicles and trucks. Gm: on some truck models there is some frame corrosion. updated on 5/2/2012. Gm: service bulletin explaining when the safety belts are supposed to lock. updated 12/6/11. Tire slowly goes flat, tire air loss, low tire pressure warning light illuminated, aluminum wheel bead seat corrosion (clean and resurface wheel bead seat) for certain 2000-2009 gm passenger cars and light duty trucks (including saturn).